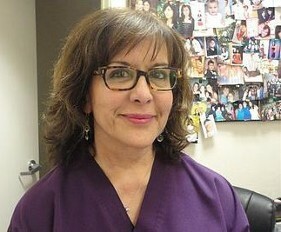 Dr. Alatorre was born and raised in Indio, California. She is a proud graduate of Indio High School where she was named valedictorian. She attended San Diego State University and received her DDS from the University of California San Francisco. After graduating from dental school she spent two years helping the community as a part of the National Health Service Corp. In 1994 she returned to her hometown to start her practice and provide outstanding dental care to residents of the Coachella Valley. She keeps up to date on the latest dental news and technology by taking continuing education classes with her staff and attending annual meetings of the California Dental Association and American Dental Association.